Estate agents play a vital part in the conveyancing process. We have set out below what their role is to help you understand. Contact us today on 01536 276300 or use our online enquiry form to discuss buying or selling a property. As part of the process of dealing with the sale of a property estate agents usually prepare particulars of the property. Estate agents owe a duty of care to the seller in carrying out his duties. However, estate agents do not owe the same responsibilities to the purchaser. Indeed there is usually a disclaimer in most property particulars that states that estate agents takes no responsibility for the description of the property, which is for guidance only. It is therefore the purchaser who must satisfy himself of the accuracy of any particulars provided by the estate agents. However, The Property Misdescriptions Act 1991 makes estate agents liable to be prosecuted if he or she misdescribed a property or makes a misleading statement in the course of an estate agents business. Do Estate Agents Have To Tell The Seller Of All The Offers Received? Estate agents are obliged to pass on to the seller all offers made in respect of the property unless they are below any minimum price that the seller has previously stipulated. When Are Estate Agents Fees Payable? Almost all estate agents work on a “No Sale No Fee” basis. 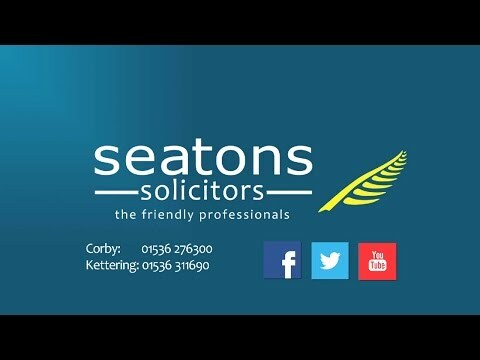 The Estate Agents Act 1979 requires estate agents to provide written details of their fees, any other money the customer has to pay and the circumstances in which the money becomes payable. Failure to do so will give a customer a limited defence to a claim for unpaid fees unless the court considers it reasonable to allow the estate agents to recover his unpaid commission. Many estate agents stipulate in their terms and conditions of business that they will be entitled to collect commission on a sale to a buyer whom they introduced even if the transaction takes place after the agency has been terminated. The fees are, of course, paid by the seller, not the purchaser. Fees are based on a commission of anything between 1% and 3% plus VAT of the sale price. There are three main methods of instructing estate agents. This means the estate agents are the sole agent for the property. Usually the agreement is for a fixed period of up to 12 weeks. With this arrangement estate agents will charge lower fees perhaps 1% of the sale price. However from the sellers point of view the property is only being advertised by one firm of estate agents. This is where the seller can instruct any number of estate agents to try to sell the property. The estate agents will charge higher fees if they sell the property perhaps 3% of the sale price. However the seller at least knows that a number of estate agents are competing in trying to sell the property. Sellers should never agree to this arrangement. This means that the estate agents alone can sell the property and can claim commission even if the seller sells privately to a friend. Almost every estate agent provides financial services usually in the form of arranging mortgages for buyers. Estate agents usually get a commission fee for making a sale. However, such arrangements should be totally separate and unrelated to whatever agreement may have been reached between the buyer and seller. We recommend that if anybody requires financial services that they seek the advice of a solicitor.